If you’re looking for a recipe so good it’s to die for, search no further. We’ve got fifteen of them. Lovers wage war with deviled eggs and artichokes. A world-class baker turns to desperate measures to win the contest of a lifetime. An orphaned teenage girl with nowhere left to go finally takes a stand inside a farmhouse kitchen. Lawyers, financiers, and law enforcement turn to the culinary arts to defend their careers and solve their cases. All these and more can be found within the pages of the second volume of the Cooked to Death series. Fifteen mystery writers have pooled their literary powers and culinary acumen to craft a five-course meal full of surprises both deadly and delicious. 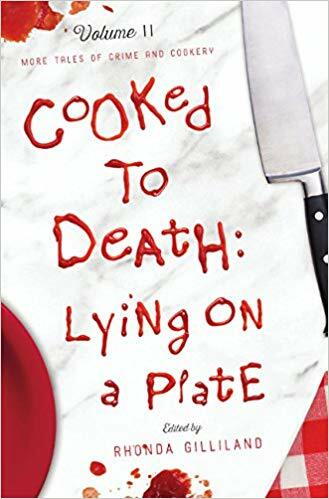 And if the crimes uncovered by these sleuths are too much for your stomach, they’ve got the perfect thing to restore your appetite: each story is followed by an easy-to-make recipe that plays some crucial part in its preceding tale. The game is afoot, and the burners are alit! Enter if you dare–and make sure to bring a fork.